Successful Reengineering now you know what it is here's how to do it. Condition is Good. Dispatched with Royal Mail 2nd Class. Author:-Therese Walsh(Author). Title:-Author in Progress: A No-Holds-Barred Guide to What It Really Takes to Get Published. Publisher:-Writer's Digest Books. All orders and queries will be dealt with during these hours. Publisher : VAN HAREN PUBLISHING. Publication Date : 2010-09-23. First Edition : False. Condition Information. & books described as. Condition : Like New. Very Good or better unused condition. Book Condition and format : Very Good, Paperback. Title: Cut it Out and Start Saving: A Guide to Effectively Using Coupons and Obtaining Money from Unexpected Resources. Title : Cut it Out and Start Saving: A Guide to Effectively Using Coupons and Obtaining Money from Unexpected Resources. Title: Can You Cut It as a Student Landlord?. 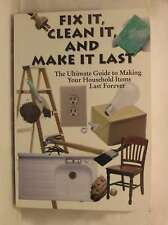 : A Practical Guide for All Landlords. Title : Can You Cut It as a Student Landlord?. List Price (MSRP) : 15.50. TOYS & LEGO. Dust Jacket : False. First Edition : False. Author:Lamb, Sandra E. How to Write it: Your Complete Guide to Powerful Writing for Every Situation. Each month we recycle over 2.3 million books, saving over 12,500 tonnes of books a year from going straight into landfill sites. Author:Levine, Anna. Was it a Whale?. : a Handy Guide to the Marine Animals of the Hebrides. Title:Was it a Whale?. Each month we recycle over 2.3 million books, saving over 12,500 tonnes of books a year from going straight into landfill sites. Approved by BCS and ECDL Foundation. Each exercise has been designed to gradually build up your knowledge of Microsoft Outlook 2013 using a simple, step-by-step approach. Approved by BCS and ECDL Foundation. Each exercise has been designed to gradually build up your knowledge of Microsoft Internet Explorer 10 using a simple, step-by-step approach. You will learn how to use the web browser to accomplish basic operations associated with searching for information online. Title: Making the most of Hong Kong: A do-it-yourself guide. Title : Making the most of Hong Kong: A do-it-yourself guide. Condition : Acceptable. Product Category : Books. Binding : Paperback. Dust Jacket : False. Dust Jacket : False. Condition : Good. First Edition : False. About Universal Books Limited. Publisher : Windsor Products. This is so there will be no delay in you receiving your order. Faced with constant and fast-evolving threats to information security and with a growing exposure to cyber risk, managers at all levels and in organizations of all sizes need a robust IT governance system. Faced with constant and rapidly evolving threats to information security, IT managers need to guard their organizations from cyber risks with an effective security system. 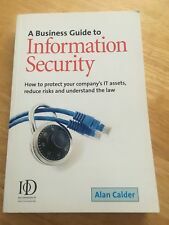 The book has been fully updated to take account of current cyber security and advanced persistent threats. This is A Good Condition Used Book. Condition: Very Good. ISBN-13: 978-1903904763. ISBN-10: 1903904765. Got it! Starter Level Student Book A and Workbook with CD-ROM A four-level American English course f 9780194462402 (Mixed media product, 2011) Delivery UK delivery is usually within 8 to 10 working days. International delivery varies by country, please see the Wordery store help page for details. CCNP TSHOOT 642-832 Official Certification Guide PLUS Cert Kit - !! TWO ITEMS !! DVD ROM and books for the Cisco 642-832 TSHOOT exam. The subjects covered include OSPF, BGP, EIGRP, Catalyst switch troubleshooting and IP communications. There is also a section devoted to IPv6 troubleshooting. Stickley the frog has the gift of "stick-to-it-ness". His sticky toes help him stick to windows, ceilings, and surfboards - even under plates! But Stickley's toes aren't the only way he sticks to things. Pages 995-1022 are secured by tape - see photos. IT Careers: Developing and deploying application systems: workbook. Brochure 88 pages. by ring hand, Klaus Ring hand, Klaus Format / binding. The book is in a very good read condition. The pages and the cover are intact. By Stan Gibilisco. Stan Gibilisco is one of McGraw-Hill's most prolific and popular authors. His clear, reader-friendly writing style makes his math and science books accessible to a wide audience, and his background in research makes him an ideal editor for professional handbooks.